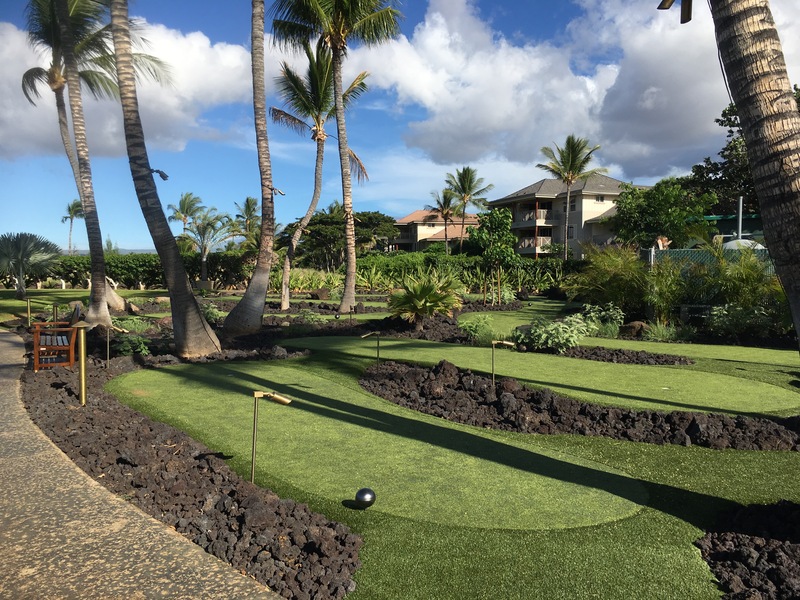 The fully landscaped 9 hole Kings Shops Lakeside Putting Course was recently completed at the King’s Shops on the Kohala Coast of the Big Island of Hawaii. The facility offers golfing enjoyment for both children and adults. PGA professional-approved putting greens in Kailua-Kona This month’s featured project is a golf green, bunker, and lawn at a private residence in Kailua-Kona. There is approximately 850 square feet of putting surface and fringe with 5 holes. What a great way to liven up your backyard living space! Contact us for your free consultation today!